One of the most popular gaming systems in the world is the Microsoft Xbox One, and these gaming systems have provided countless hours of thrilling entertainment to their owners, because many of the most exciting video games ever developed have been targeted for the Xbox One gaming system. If you happen to own one of these fantastic gaming systems, and you have a need to generate cash quickly to get you through a stretch of financial need, you can pawn your Microsoft Xbox One in Mesa, Arizona at our pawn shop store, and be confident of receiving the highest payout of any pawn store in the region. Not only that, you can also expect to receive superior customer service, because we treat everyone as though they are a long-term loyal customer, so we can establish a business relationship which goes far beyond the current transaction. If you prefer not to visit our store until you have a ballpark idea of your Xbox One system’s fair market value, by all means, call us ahead of time and take advantage of our free quote policy. Then you can bring us your Xbox One and all the video games you have which are compatible with it, into our pawn shop store in Mesa, Arizona to receive the maximum payout possible. Since we service a broad region in the state of Arizona which includes Phoenix, Scottsdale, Chandler, Gilbert, Tempe, and Apache Junction, it would be only a short drive for you to bring all your valuables to us in Mesa, so you can get the cash payout you need. Please remember when bringing in your gaming system, that it is much more valuable to us if you can provide us with a complete system which includes all its original accessories, the box it was packaged in, and even the bill of sale from the actual purchase. Complete systems are always worth more than systems which lack any of these components, and they can help us determine fair market value more quickly. 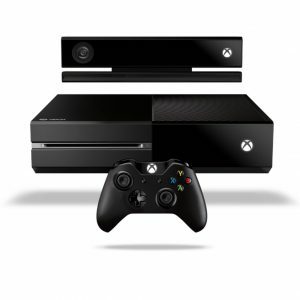 When you bring in your Microsoft Xbox One gaming system and associated video games, our in-house expert will appraise them on the spot in your presence, and we can provide you with a cash payout immediately, if you would prefer to sell these assets to us outright, and simply walk away with the cash. However, many people are reluctant to permanently part with their Xbox One gaming systems, so we will be very glad to write up a pawn loan agreement with you that has a duration of 90 days, and would require you to make monthly installment payments until the terms of the agreement have been fulfilled. There is of course no penalty assessed for early completion of the agreement, so you can feel free to pay more than the monthly installment at any time without fear of penalty. When you have completely paid off your outstanding balance, you can again take ownership of your valuable gaming system and any video games which you pawned, and you would be free at any time after that to arrange a similar agreement with us.